The European market for fast moving consumer goods (FMCG) is largely saturated and has limited growth rates. For the most part, growth is only possible by product differentiation and increased product diversity. Packaging design is an important aspect for a product’s performance at the point of sale. Producers, fillers and retailers want to develop simple and cost-efficient packaging solutions with films that have optimal functionalities. At the same time, the perceived eco-friendliness of packaging is of growing importance. This report describes trends and provides a market overview on flexible sales packaging in Germany and in Europe and emphasizes the different types of plastic composites. The report helps decision makers to evaluate industry sectors, trends and development potentials for flexible plastic composite packaging, especially with regards to the substitution of monofilms. By contrasting the German and the European market development you will get a comprehensive overview of regional key differences until 2021. 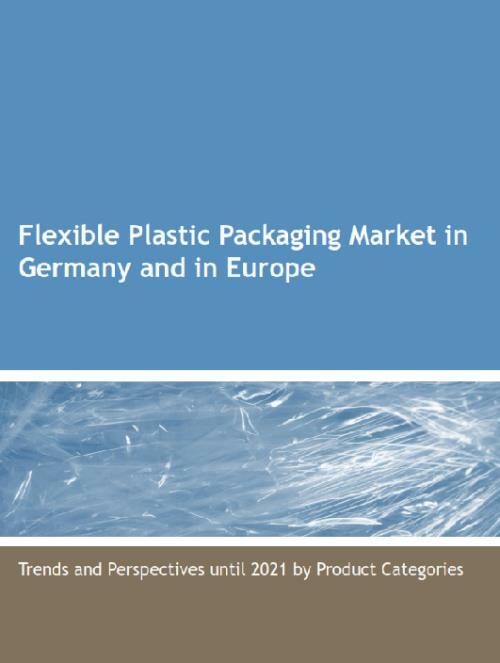 Cost-effective market data and forecasts on the development of flexible plastics packaging in Germany and Europe, especially focused on plastic composites. What are the factors for material development? How will the product categories evolve? Which markets are growing? Which markets are declining? What is the market volume in 2016? How will it change until 2021?